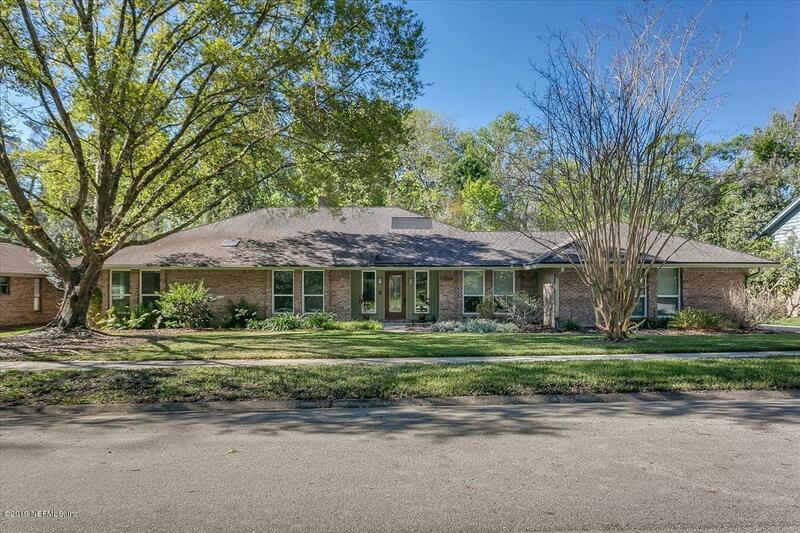 Custom brick home on beautiful wooded street in San Jose Forest. 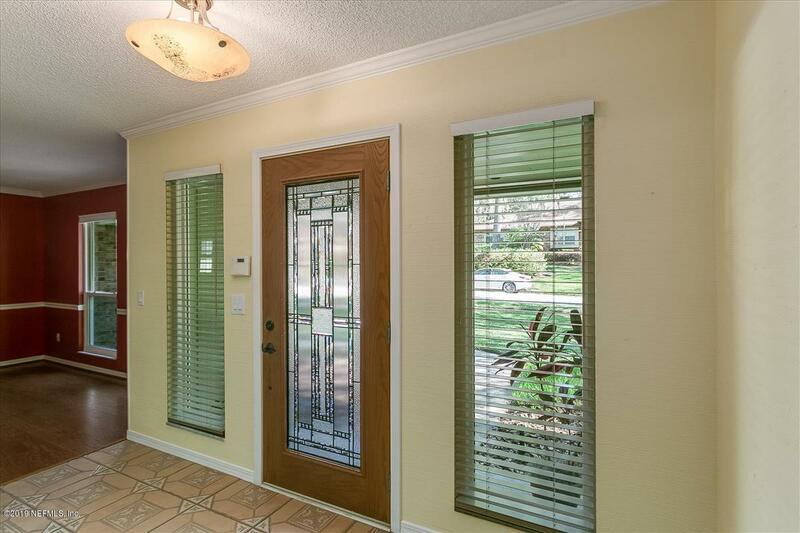 Convenient to private & public schools, shops/restaurants in San Jose & San Marco; Easy access to downtown & St. Johns Town Center. 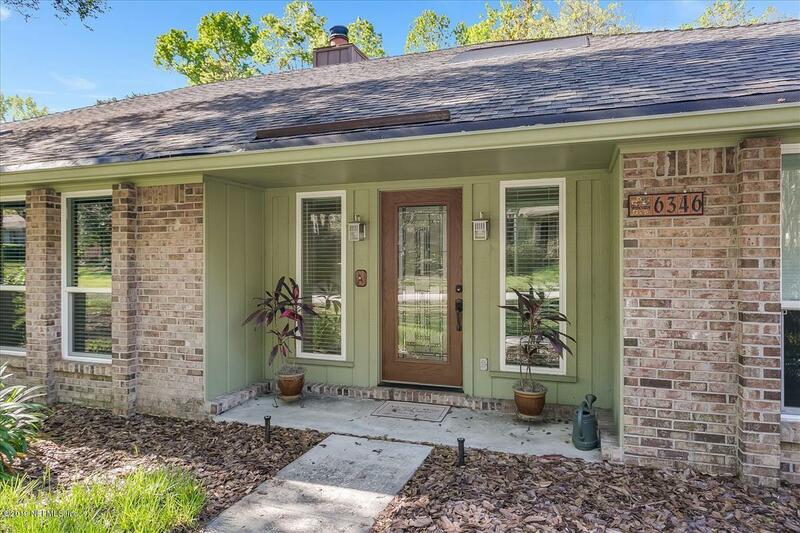 Relax in climate controlled sunroom or on outdoor deck (pavers) with pergola & screened gazebo while listening to songs of birds in forest & creek beyond. 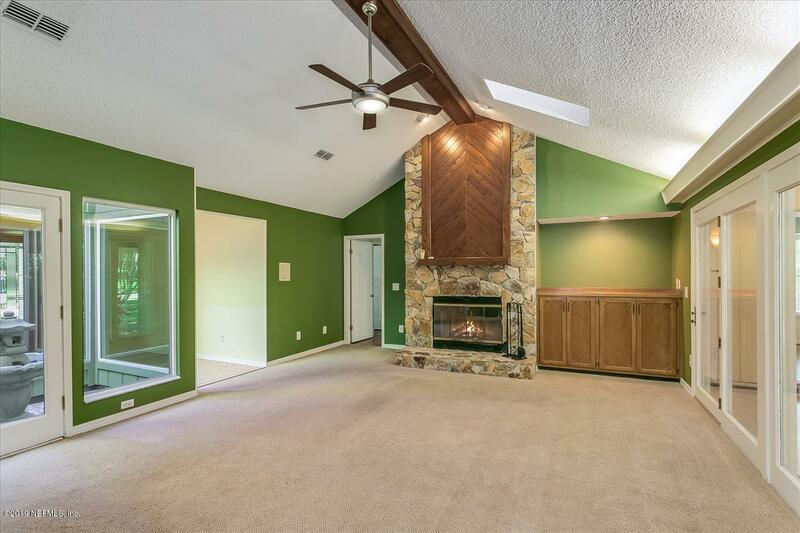 Interior highlights include leaded glass front door, newer flooring, designer lighting, vaulted ceiling, skylights, stone fireplace, bay window in master, jetted tubs in both baths. ''Green'' upgrades include energy efficient windows, solar water heater, additional attic insulation. Generous closet space throughout. 2 heat pumps, water softener & purifier, privacy fence. Roomy 2-car attached garage. Automatic sprinkler system, newer sump pump.